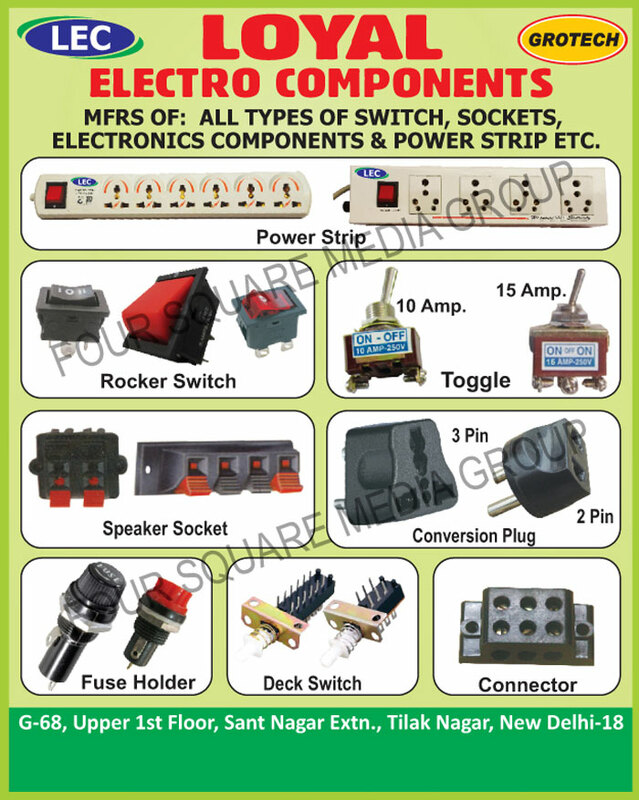 Electronic Components, Electronic Switches, Electronic Sockets, Rocker Switches, Fuse Holders, Holders, Fuses, Conversion Plugs, Connectors, Modular Switches, Mic Sockets, Speaker Sockets,Toggle Switch, Sockets, Deck Switches, Power Strips as an active Manufacturer, Supplier, Dealer, Distributor, Trader and Seller etc. (*Importer/Exporter/Service Provider). Loyal Electro Components is a leading manufacturer of electronics components as switches and sockets. Key to every electronic component is connector so we also manufacture a wide range of connectors. Company offers single window solution for different type of electronics components such as rocker switches, toggle, fuse holders, conversion plug, sockets, speaker sockets, mic socket, connector, RCA, and modular switch.